Flip a coin. 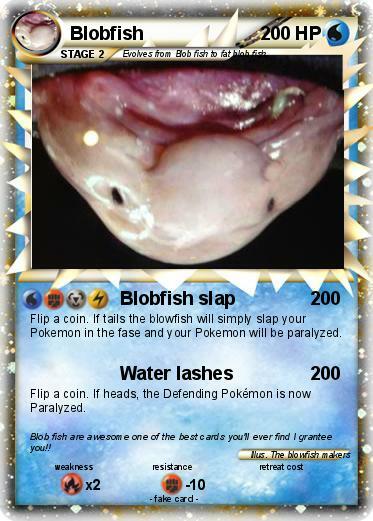 If tails the blowfish will simply slap your Pokemon in the fase and your Pokemon will be paralyzed. Comments : Blob fish are awesome one of the best cards you'll ever find I grantee you! !